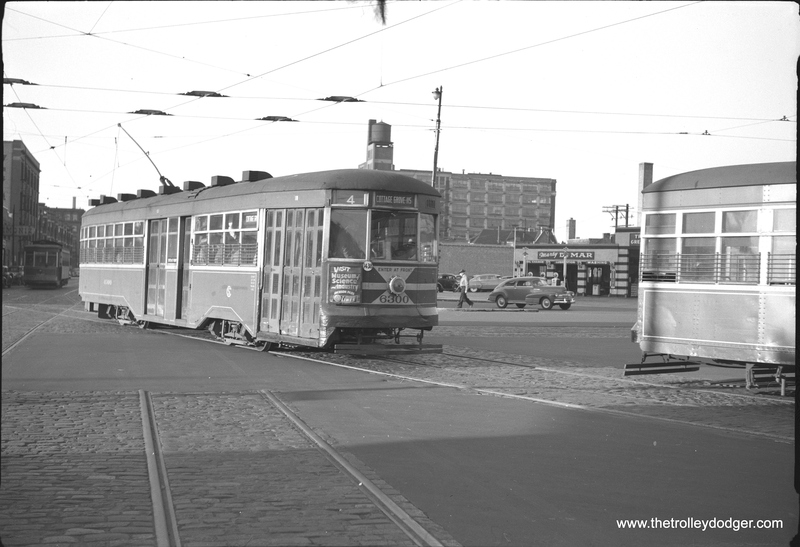 The PCC (short for Presidents’ Conference Committee) streetcar has been in continuous use since 1936, a remarkable 79 years. 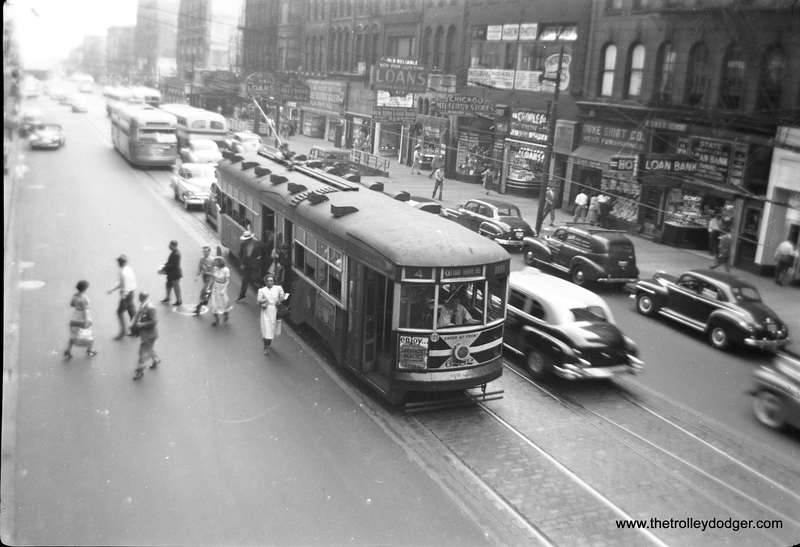 It literally saved the North American streetcar from extinction, but its development took several years and it did not appear in a vacuum. 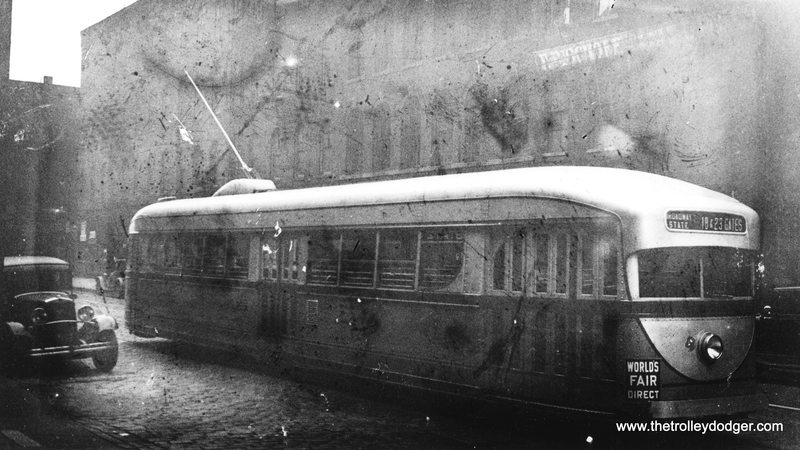 The presidents of several transit companies banded together in 1929 to develop a new, modern streetcar that could compete with buses and automobiles. The first production PCCs were made in 1936, the last in 1952. 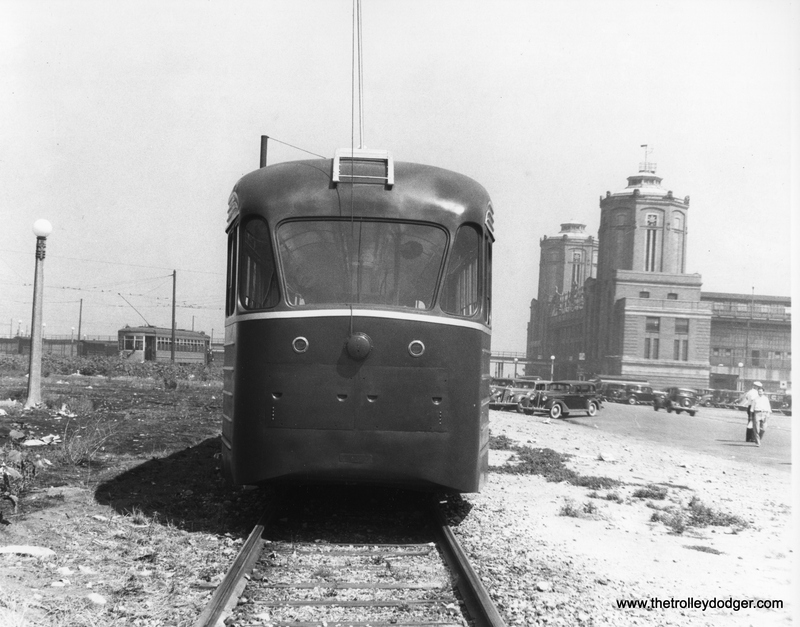 The Chicago Surface Lines played an important part in the PCC’s development. Chicago ultimately had 683 PCCs, the largest fleet purchased new by any city, but in actuality CSL had 785 modern cars in all. 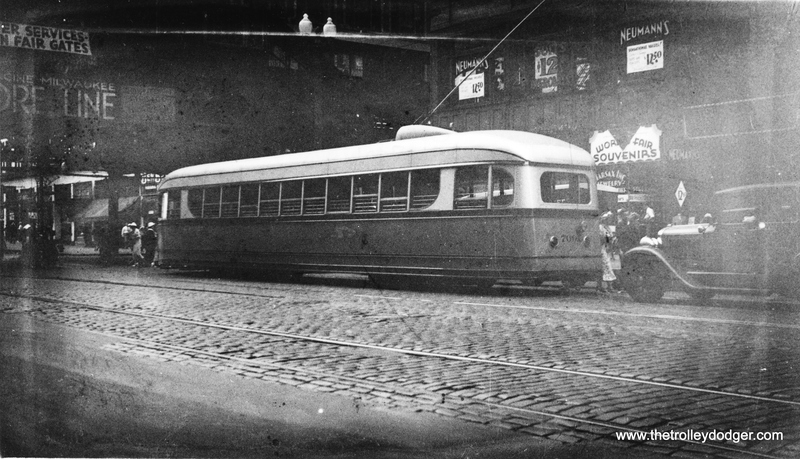 There were 100 Peter Witt streetcars built in 1929 by a combination of CSL, Brill, and Cummings Car Co., and two experimental pre-PCCs, 4001 (built by Pullman-Standard) and 7001 (Brill), which dated to 1934. Of the two cars, the 4001 was more radical in both design and construction, with a streamlined all-aluminum body, but probably the less successful of the two. Both were taken out of service in 1944. The 4001 is the only pre-PCC car to survive, and is now preserved at the Illinois Railway Museum. 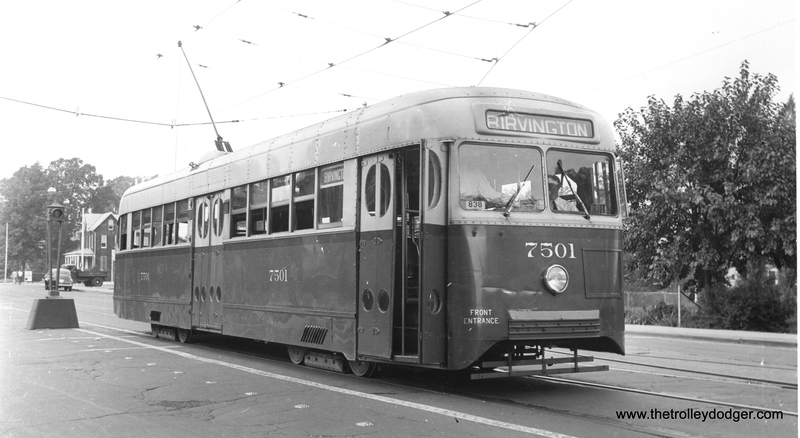 The 7001 was scrapped by CTA in 1959. Ironically, the 7001, made by J. G. Brill, was closer to the eventual design of the PCC car, although ultimately Brill did not build any true PCCs. The company had a policy not to pay patent royalties to other companies, and refused to do so with PCC technology owned by the Transit Research Corp. (TRC). 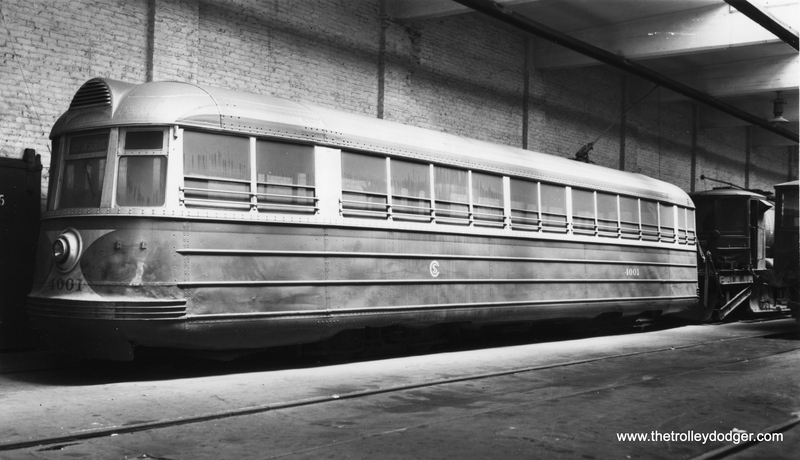 In 1935, Capital Transit ordered 20 pre-PCC cars for Washington D. C. based on the design of car 7001, but shorter. The order was split between Brill and St. Louis Car Company. This was an important step, since these were more than simply experimental units. 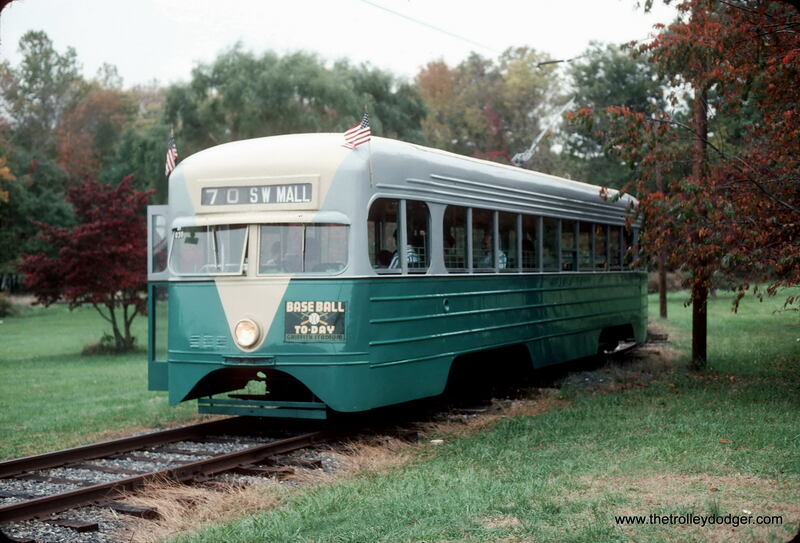 Car 1053 managed to survive the end of streetcar service in Washington DC in 1962, until September 28, 2003 when it was destroyed in a fire at the National Capital Trolley Museum in Maryland. There were also two additional 1934 experimental cars, the PCC Model A and B, which were used for field testing. The Model A was built in 1929 by Twin Coach and purchased second-hand to test new components. It was tested in Brooklyn circa 1934-35 and was scrapped in 1939. 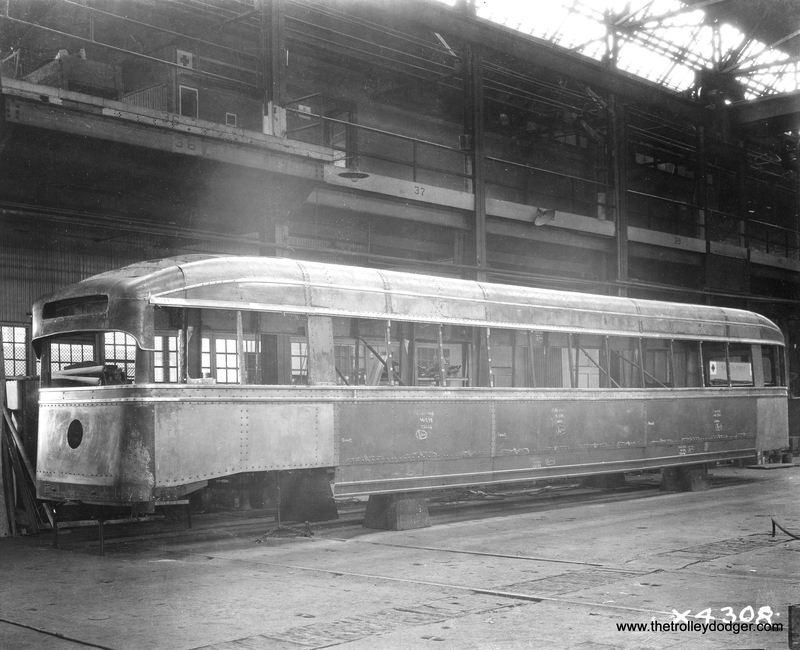 The streamlined Model B incorporated all the latest PCC developments and was tested in Chicago, arguably the first PCC car operated here. While in use in Brooklyn, the PCC Model B dewired and was involved in an accident with a truck after its brakes failed. This led to the brake systems being redesigned for the first PCCs. 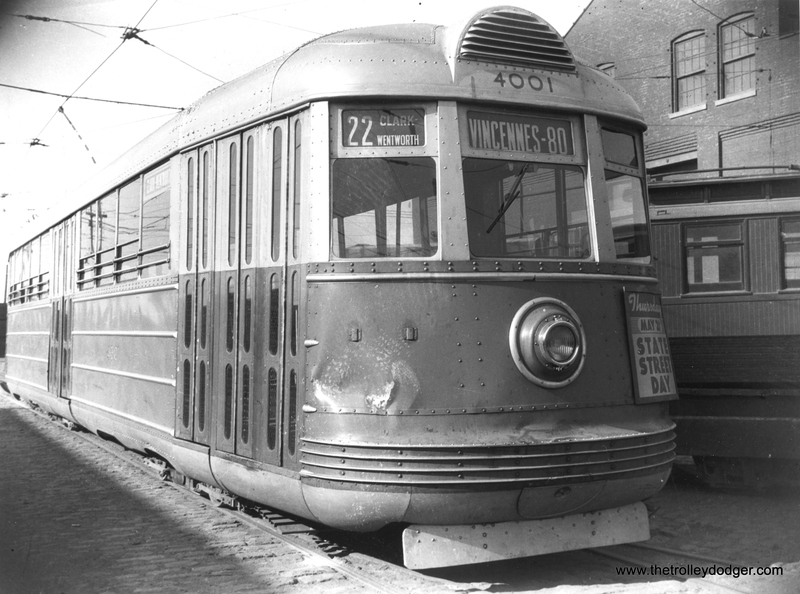 The Model B was kept in storage for some time, and although the front end was repaired, it was never again used in service and was scrapped in the early 1950s. 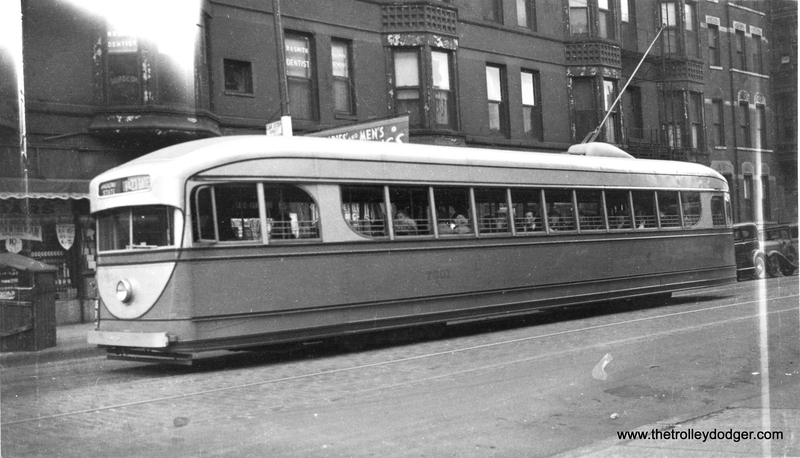 By 1936, the first production PCCs were ready to go and the first one was delivered to Brooklyn and Queens Transit on May 28, 1936. However, Pittsburgh Railways put the first PCC into scheduled public service in August. Brill’s decision not to build true PCCs ultimately proved fatal. 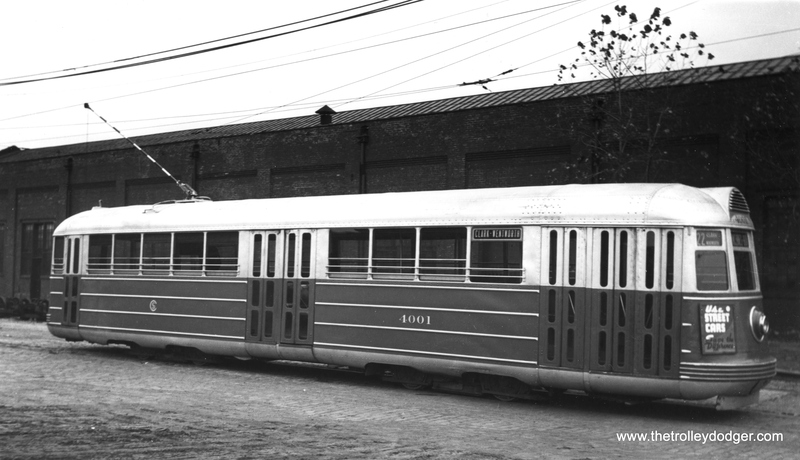 Their 1938-41 “Brilliner” was considered somewhat inferior to the PCC car and few were built. 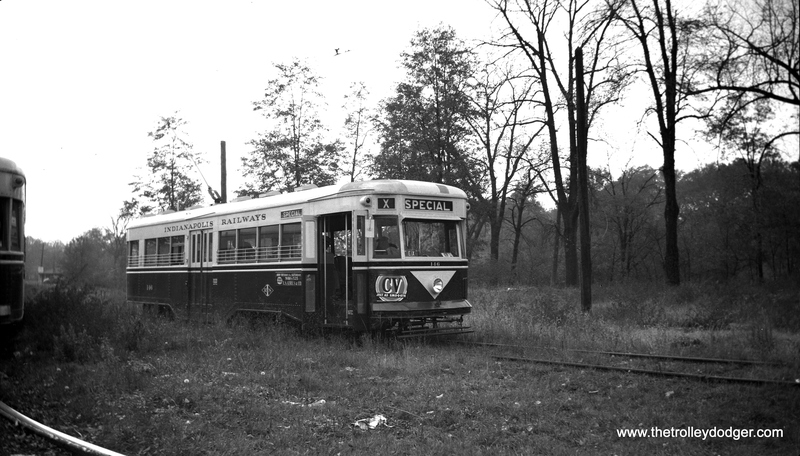 30 single-ended cars went to Atlantic City, Philadelphia, Baltimore, and Cincinnati, while 10 double-ended cars were built for Philadelphia Suburban Transportation Co., where they continued in service into the early 1980s. 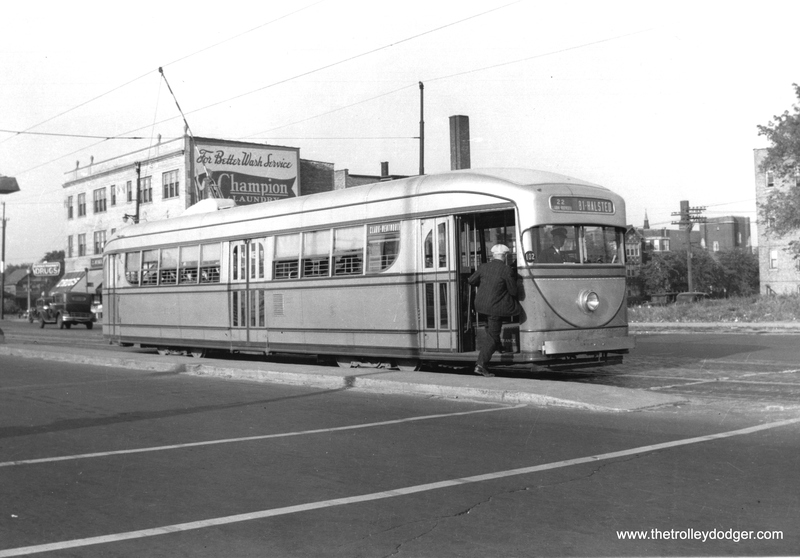 These were the last streetcars made by Brill, who had once dominated the industry. Most PCCs were built by the St. Louis Car Company, with a smaller share from Pullman-Standard. 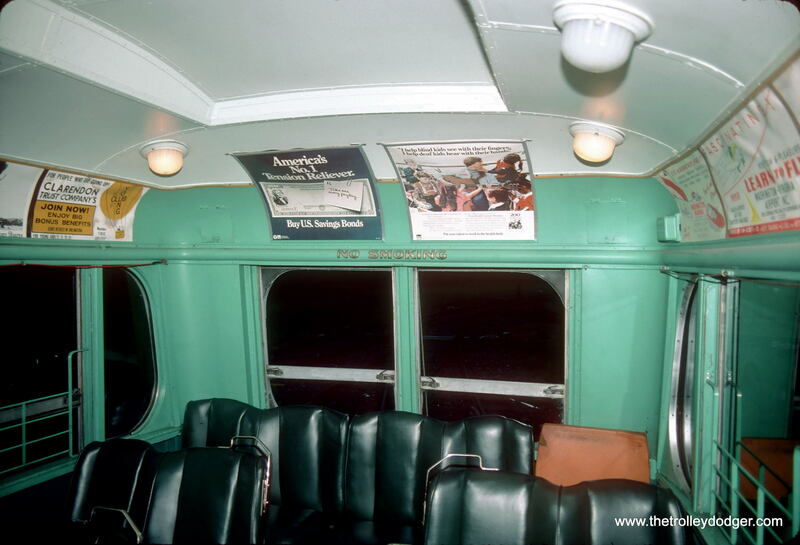 We hope that you will enjoy these pictures of these pre-PCC cars, the ones that laid the groundwork for the “car that fought back,” which continues to serve faithfully and well in a number of North American cities, and hopefully will continue to do so for a long time to come. “The idea was to produce standardized cars. Both ends of the car were to be identical in construction. 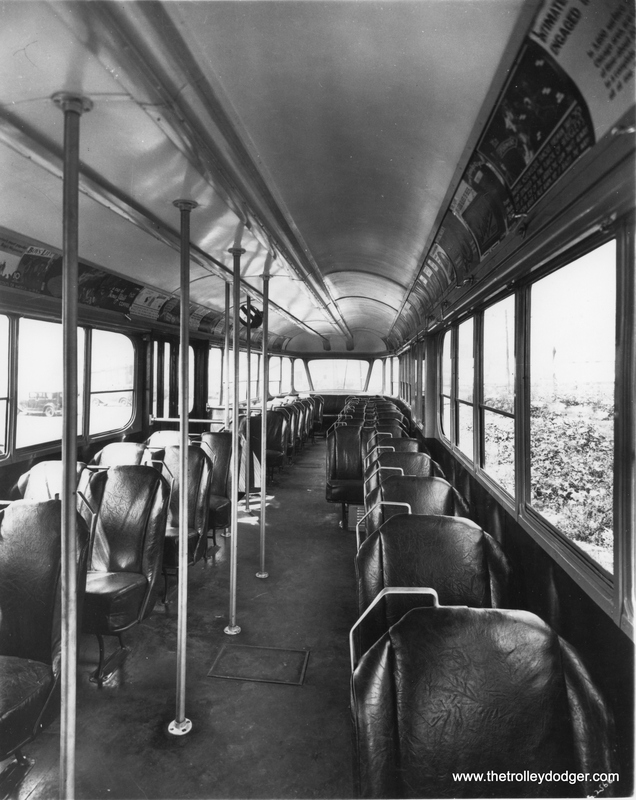 Height and width of the car, size and number of windows, seat width and therefore aisle width were to be the same for every unit of a specific type. The cars were offered in single-or double-truck, and single-or double-end style, with doors located at the ends or with a combination end door and center door. Master Units could be constructed with steel or aluminum, the difference in weight being about 5,000 pounds. Interestingly, the cars had curved lower sides very much like the curve used on the lower panels of the Kuhlman and Brill-built cars of a few years previously. There was nothing patentable about the Master Unit: it was merely a standardized design. 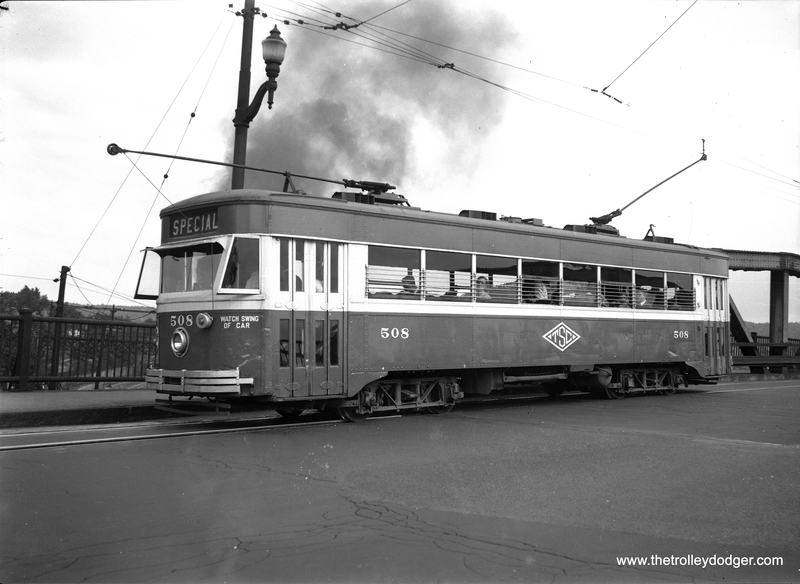 Here is an article about Scranton car 505, one of the last surviving Osgood-Bradley Safety Cars, also known as “Electromobiles,” now in the process of being restored at the Electric City Trolley Museum. 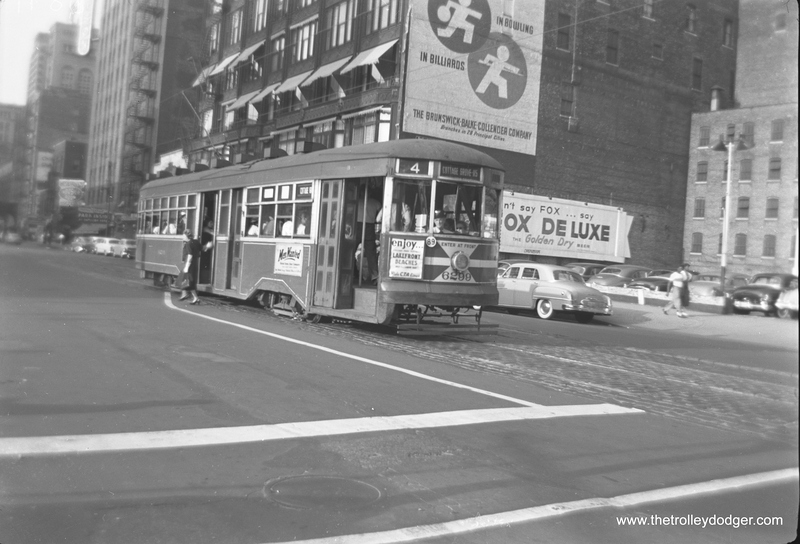 An Electromobile was also the last trolley to run in New York City. Here is an interesting blog post about the effort to restore the 505. Very nice job on the Pre-PCC post on your blog! It’s a great post with some outstanding photos, and of course I appreciate the “plug” as well. Several of the photos you posted I had never seen before. The photo of the 4001 in service is really nice; shots of the car in regular use are really pretty rare. It was quite the “hangar queen” when it was on the CSL. And the Model B interior shot is fascinating! I think I saw that rear-end shot somewhere once but I don’t know that I’d ever seen a photo of the car’s interior. What I found most fascinating is that it appears the car was designed to have left-hand doors fitted in the middle, Boston style (and likely so that it could be used or tested out in Boston, as I think Boston is the only city that had PCCs with this feature). Close examination of the interior shot shows an inset panel across from the center doors and I bet it was designed for doors to be put there if desired. It would be interesting to know more about the Model B. I’m not even sure whether it was set up for one-man or two-man service; the photo makes it clear that there was no conductor’s station forward of the center doors, like the CSL cars had, but it’s possible there was a conductor behind the motorman (I think this was how Brooklyn set up its PCC cars). Or it could have just been a one-man car. Anyway, thank you for posting these photos and for posting such large scans of them – fascinating stuff! CTA Peter Witt 3330 on route 4. 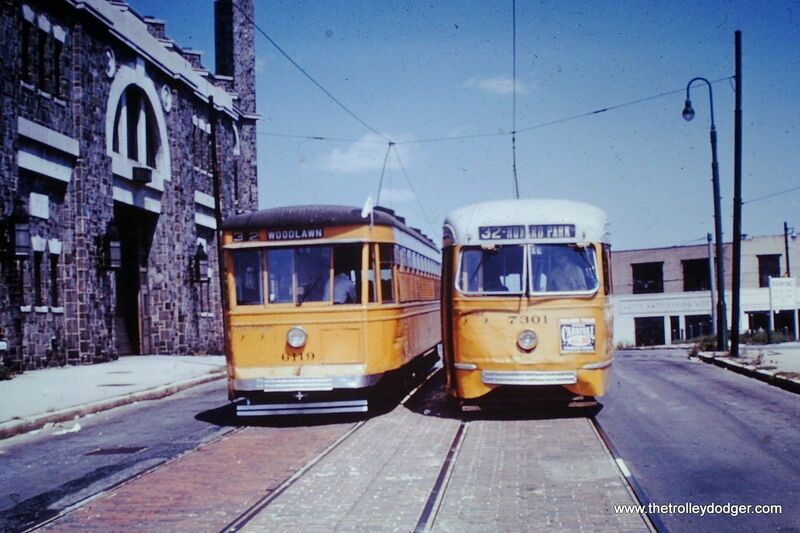 These cars were shifted to Cottage Grove from Clark-Wentworth in 1947 after postwar PCCs took over that line. CTA 6282 unloads passengers in the early 1950s. Note the postwar Pullman PCC at rear. 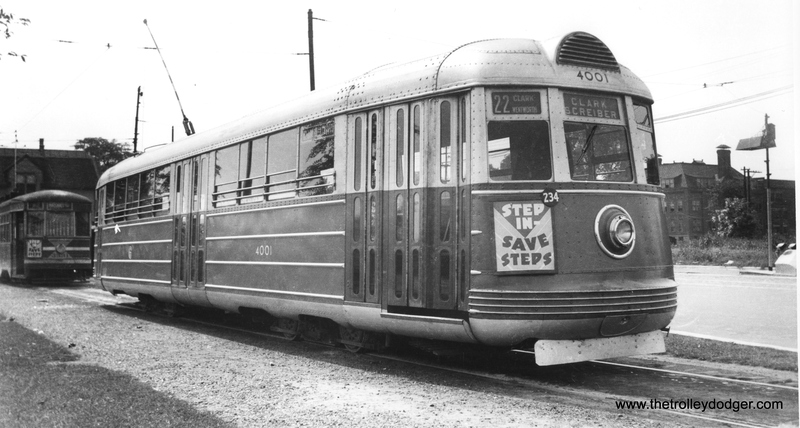 CSL 6300 on route 4 – Cottage Grove in the early CTA era. CSL “Sedan” 6299 on route 4 – Cottage Grove. 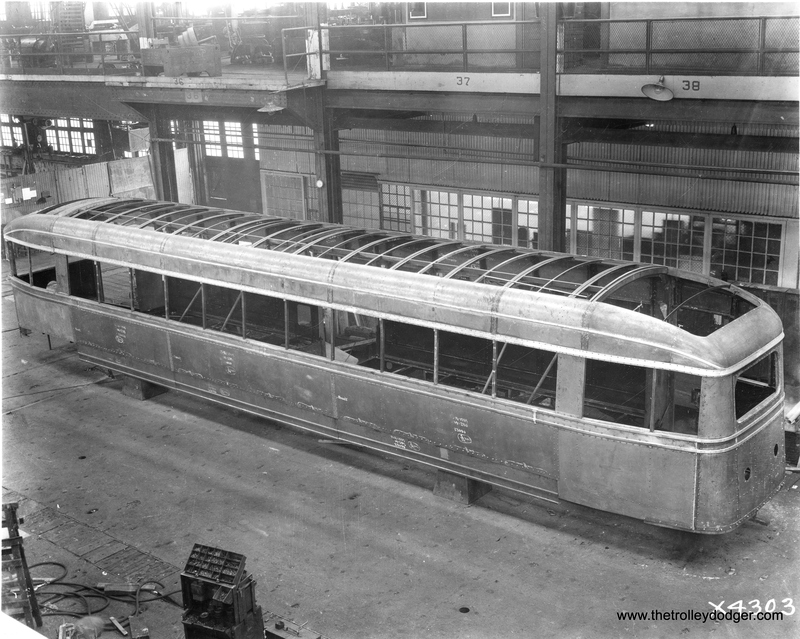 CSL 7001 under construction at the Brill plant in 1934. CSL 7001 on route 36 Broadway-State in 1934. CSL 7001 at State and Van Buren in 1934. CSL 4001 in service, probably around 1934. CSL 4001 on route 22, Clark-Wentworth, probably in the late 1930s. 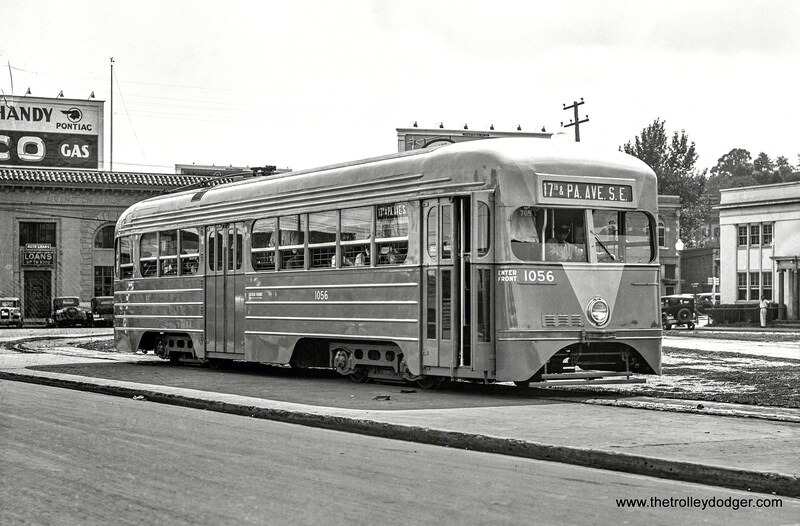 Capital Transit 1056, a product of the St. Louis Car Co., as it looked in 1935 when new. 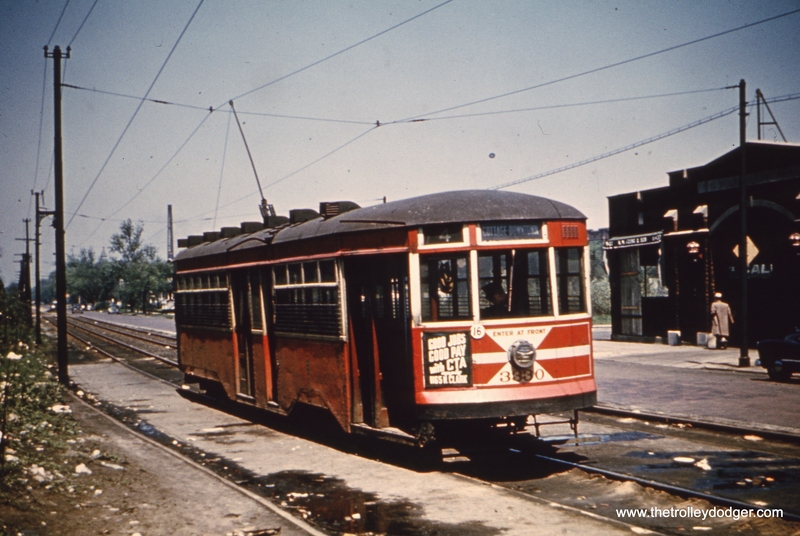 A modern Baltimore “Peter Witt” streetcar, built by Brill in 1930, alongside a PCC, made in 1936 by St. Louis Car Company. 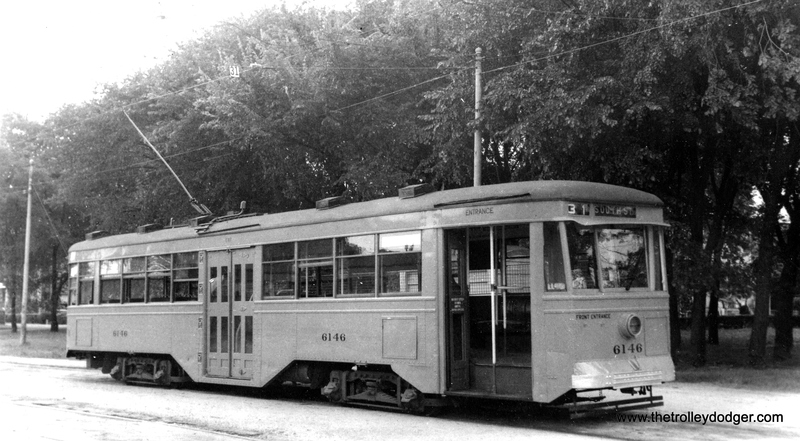 Baltimore Transit Company car 6105, shown here on route 15 – Ostend St., is one of the last modern streetcars built before PCCs took over the market. The sign on front says that September 7 will be the last day for 6 hour local rides. Perhaps that can help date the picture. Chicago Area, CTA, Streetcars1933 Chicago World's Fair, A Century of Progress, Baltimore Transit Co., Brill, Brilliner, Brooklyn and Queens Transit, Capital Transit Company, Chicago Loop, Chicago Surface Lines, Chicago Transit Authority, CSL, CTA, Cummings Car Co., Electric City Trolley Museum, Electromobile, Illinois Railway Museum, Indianapolis Railways, IRM, J. G. Brill, Master Unit streetcar, National Capital Trolley Museum, Osgood-Bradley, PCC car, Peter Witt streetcar, Pittsburgh Railways, pre-PCC streetcars, Pullman, Pullman-Standard, Scranton trolleys, St. Louis Car Co., Transit Research Corp.
You probably should have included the fact that Clark (the lift truck guys) built one car, and lots of trucks. 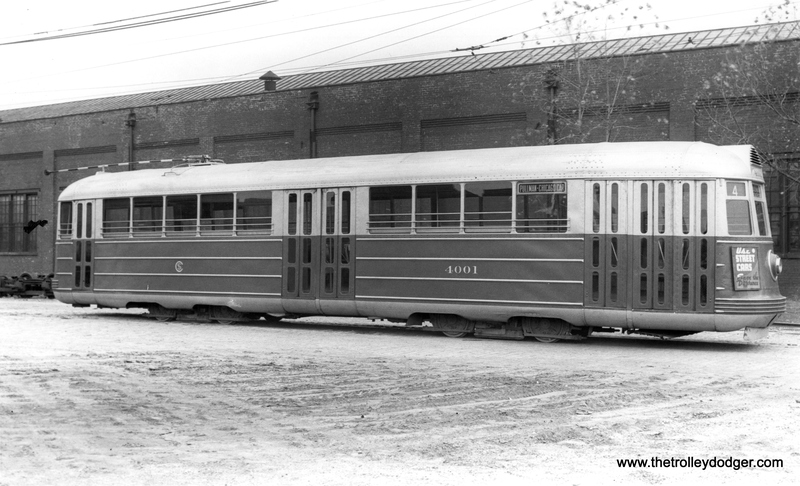 Clark also made five sets of articulated rapid transit cars for B&QT in 1939-40 using PCC technology, but unfortunately these cars were scrapped in 1956. They did have quite an influence on the design of CRT/CTA cars 5001-5004, which were built in 1947-48. You refer to Peter Witt cars as “modern” cars, and this might be misleading. The innovation introduced by Peter Witt in 1914 was an efficient fare-collection system (front entrance/center exit/pay-as-you-pass conductor near center door) which greatly reduced dwell-time, but was originally, and for many years, an attribute of otherwise same-old streetcars. The 1929 Chicago “sedans” may have been modern cars (as the Baltimore Peter Witts were), but not merely by virtue of the Peter Witt fare arrangement. Also, you refer to “Master Units” built by Brill and Osgood-Bradley. Master Units were built by Brill. The similar cars built by Osgood-Bradley were “Electromobiles”. Copyright infringement was not worth the cost even then. Your points are well taken. 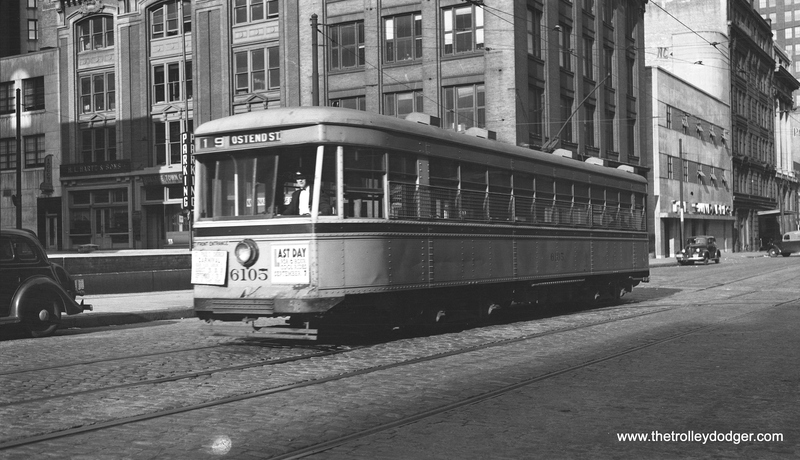 More modern streetcars were developed in the 1920s, and Chicago’s just happened to be Peter Witts. 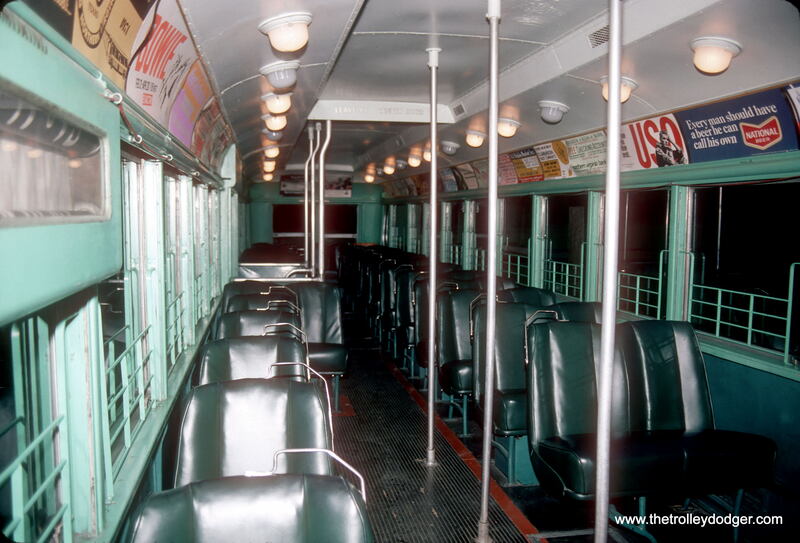 But the Peter Witt fare collection system definitely influenced the design of Chicago’s PCCs, which were two-man. too bad 1056 did not survive. It is a stunning looking car. So was 1053, which unfortunately was destroyed some years back in a fire.